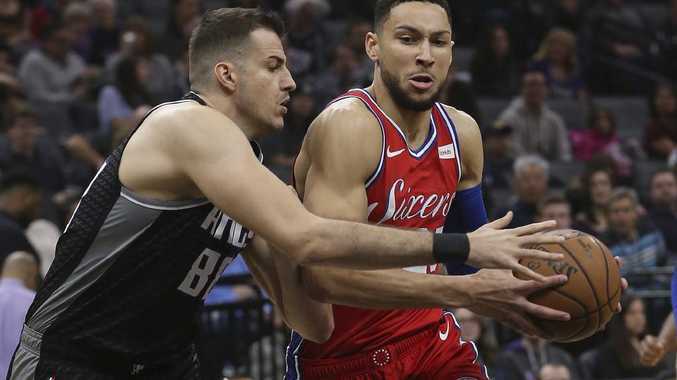 AUSSIE All Star Ben Simmons was reportedly the centrepiece of the Philadelphia 76ers' secret discussions with the New Orleans Pelicans for MVP candidate Anthony Davis. 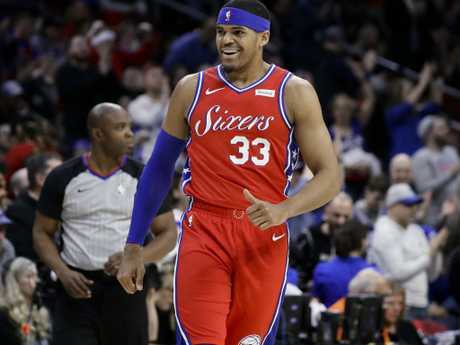 Just one day after the Sixers took the Eastern Conference arms race to a new level with their trade for star forward Tobias Harris, it emerged that the Sixers had also been in on the feeding frenzy for Davis. The Pelicans star is reportedly set to knock back the biggest contract extension in NBA history to enter into free agency at the end of this season. Having publicly declared his intent to leave New Orleans, Davis was left stranded when none of his preferred destinations (New York, Los Angeles Lakers, Milwaukee and the Clippers) were able to sort out a trade. Now a report from The Ringer's Bill Simmons claims the Sixers made a secret attempt to land Davis - and even discussed the possibility of using the Australian as their leverage to force a trade. Bill Simmons told The Ringer's NBA Show Podcast that discussions were had between the two teams - despite the fact that both Simmons and Davis are both represented by LeBron James' player agent, Rich Paul. "That's why I was so intrigued by the Ben Simmons for Davis (situation)," Simmons said. "By the way, I heard there were conversations on both sides with that." The 22-year-old is expected to begin contract negotiations with the Sixers this off-season, on his first deal to follow his rookie scale contract as the 2016 No.1 draft pick. Earlier this week the Eastern Conference reacted dramatically to Philly's big trade for Harris. The Raptors responded on Friday (local time), just before the deadline, by adding one of the NBA's best big men, Marc Gasol from the Memphis Grizzlies. The Grizzlies received Jonas Valanciunas, Delon Wright, CJ Miles and a 2024 second-round draft pick. Conference rivals Milwaukee, after shipping young Australian centre Thon Maker to the Detroit Pistons, significantly bolstered their line-up by picking up power forward Nikola Mirotic from the New Orleans Pelicans. The bombshell Simmons-Davis switch was actually first discussed as a left-field possibility by NBA commentators just 10 days ago. Last month, Philadelphia Inquirer columnist Marcus Hayes posted a piece calling on the 76ers to pursue a Davis with a Ben Simmons trade. "Anthony Davis is a polished, motivated, complete stretch-four, a high-character, low-maintenance player destined for the Hall of Fame," Hayes wrote. "If the Sixers can trade Ben Simmons for Anthony Davis before the February 7 deadline, then they should. Slam dunk. Mic drop. It might rock The Process. So what. 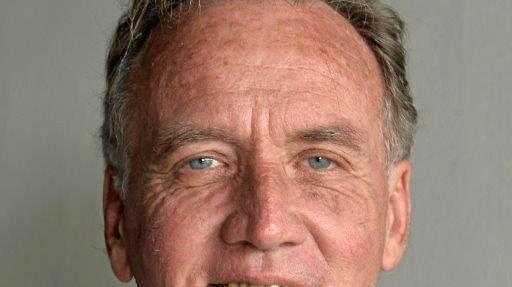 Processes change." Meanwhile, the new-look Sixers impressed in their first game following the trade deadline and the arrival of Harris. The Sixers shot out of the blocks and led the high-flying Denver Nuggets by 16 points in the first half, before recording an impressive 117-110 win. 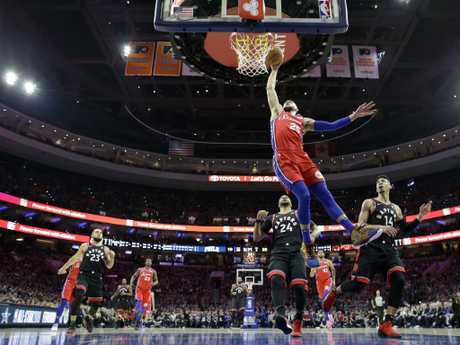 With the game tied at 103-103 in the final quarter, the Sixers' big names stood up when it mattered as they closed out the game with a 14-7 run. Despite the arrival of Butler and Harris this season, it was veteran Redick who stole the show with some red-hot shooting. He finished with 34 points, shooting six of seven from beyond the arc. Butler (22 points, seven rebounds and five assists), Harris (14 points, eight rebounds and three assists) and Simmons (12 points, four assists and six rebounds) all had to step up, while superstar centre Embiid continued to struggle with a virus. Even with Embiid struggling, finishing with 15 points and 12 boards, the Sixers still looked a very real contender. ESPN NBA analyst Doris Burke was moved to declare Philly's new fab five of Simmons, Harris, JJ Redick, Jimmy Butler and Joel Embiid to be the equal of the Golden State Warriors superstar starting line-up. She said the Sixers now had the ability to score from everywhere, since Harris's move. She wasn't the only one impressed.